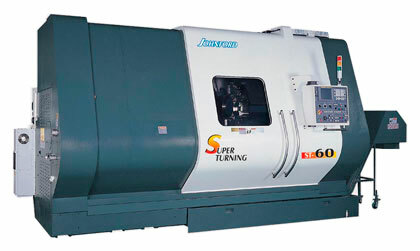 The JOHNFORD ST series SUPER TURNING centers are exclusively designed to not only meet today's needs, but also future requirements. These turning centers give you the very finest in turning technology. Rugged construction assures optimum rigidity and stability for years of reliable, trouble free operation. furthermore, these machines offer the turning accuracy and efficiency that are for beyond ordinary.